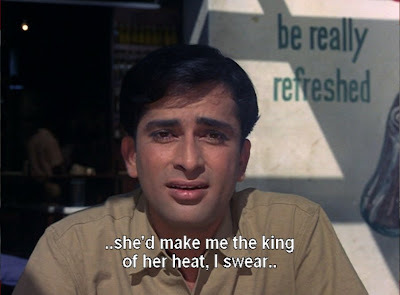 Shashi, you're always the king of my heat, I swear. What a dialogue! 'Woh mujhe apne dil ka raja bana legi; right?' I love Shashi, he was a fantastic actor! Awww, Shashiiii. He'll always be the king of my heat, and cold, I swear. Now I feel bad for teasing his bad acting. Beth, you crack me up! Now I have to watch this movie just for that! WOWOW Shashi loves being the king of perspiration for his ladies! Anil is the king of my heat though,Shashi might be the king of my eyelashes then! omg! poor Shashi all x-rated, and all gratis the subtitle folks! Ahaha... and I love that he's standing in front of something that says "be really refreshed". Shashi, he so FRESH. That? Is teh awsum. I love me some filmi subtitle goodness. Agreed that the Coke ad in the background makes it even better! Shweta - Right?!? He has no idea! Oh this is sooo funny - the text with that innocent (read dumb) expression on Shashi Kapoor's face!! 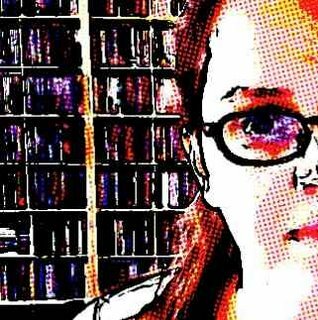 I have been reading your blog for a while now and really enjoy your posts. memsaab - Mine too, I'm sure! And where is this kingdom? IN HARLEM! Ruchi - Thank you! And welcome! Good find. Can'tget enough of young Shashi and young Shammi. I´ve come here every day since you posted this and every day I have to giggle.